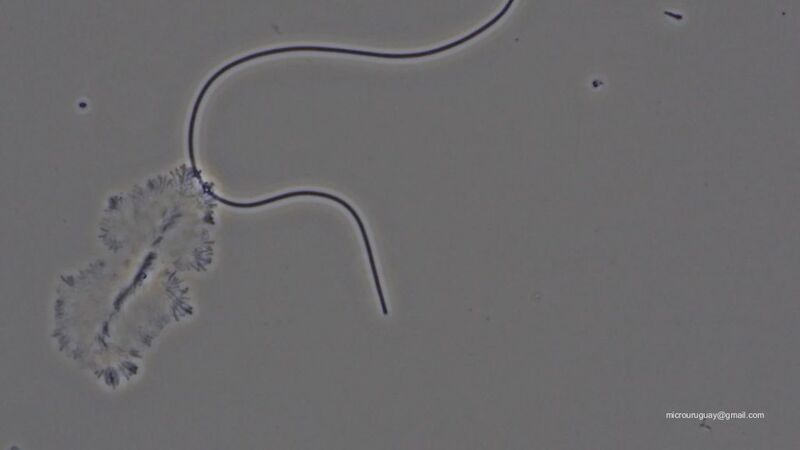 In the video we see four "gliding bacteria". Bacteria wich "slide" very slowly on the surface. Great use of phase contrast! The amoebae are also beautiful. Very interesting, thanks for sharing. It is tall!